This is the real thing people, the full 116meg thing. it puts the Babylon 5 ships and stations into the Star Trek world. Download fast or get your CD! "The year is 2160...and the Shadows are completely destroying us!!" Okay, so it's not 'quite' how it went, but it's also accurate and entirely true to this mod. Think of everything fantastic that was in Babylon 5 and this mod becomes literally a direct portrayal of the series in stunning form. There truly is nothing left of Star Trek here, from the opening video displaying some nice battles, mostly involving the Shadows gliding through the night and destroying anything they come across, to the completely changed main menu, with a certain B5 feel to it. This is all of course before you get into the game where, words cannot say enough, the mod comes into its own and makes it one of the best mods available to the game. Where to start? 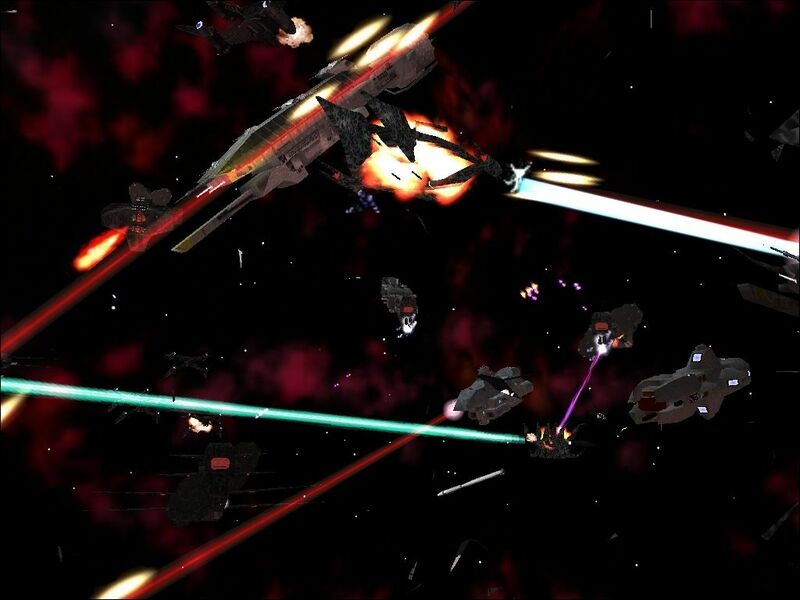 Well, each of the many B5 races (from the Humans to the Vorlons) have respective race fighters and whilst obviously not powerful separately, you can build them up to become very powerful forces, though that isn't to say that that the higher end battleships (or lower classes if you're playing as the mighty Vorlons or Shadows) can take on a good wing of them, although sustaining damage in the mean-time. What you also have to love is the attention to pure detail. Obviously there are plenty of ships to bolster your races fight for victory (or in most cases survival) from the canon ones as seen on the show to totally made up designs which fit in seamlessly and you wish were used on the show. Even to this date, so long after the mods release, the designs and textures hold up, but that's another point. Visually, this mod is stunning. 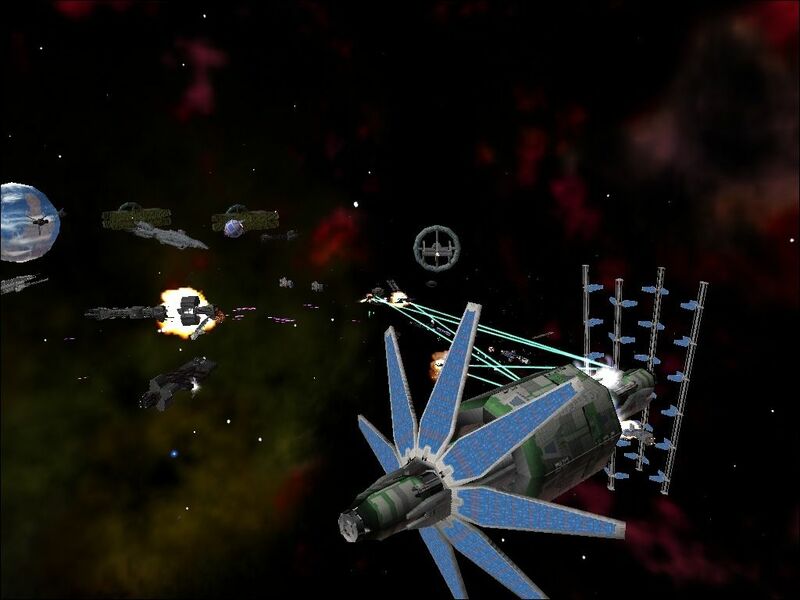 With rotating station sections, accurate weapons and lots of them to go with some eye-boggling colour exchanges in fleet versus fleet action, the mod will whip you away into a world of its own, bolstering everything included in it. Even the huge Babylon 5 (part of the Alliance of races) still looks amazing, regardless of newer models, including those on the visually better games such as Bridge Commander. This is a hard to believe fact, considering the game is a strategy and technically shouldn't be enforcing these high quality graphics and yet, somehow, it does, with absolutely no problem to quality of gaming. 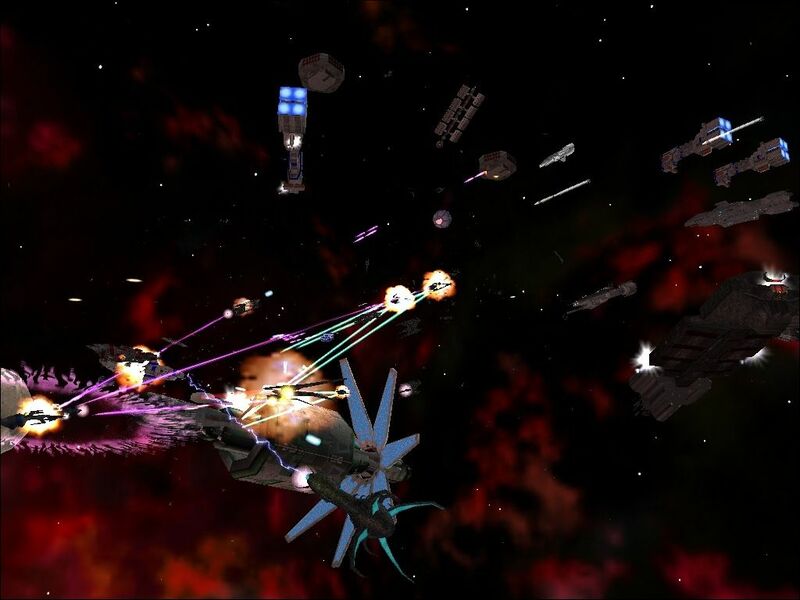 Expect in this mod also everything you find in the 'real' Babylon 5. Huge jump-gates that allow the mass movement of ships to enemy quarters (think of the Borg's transwarp portal from stock, but much better graphics, also the seen blue and orange hue that is seen on the show). Specials that fit in too, such as the anti-Shadow ships (did someone just scream 'Whitestar' because good people, it's in here!) and telepaths to up the game (literally). Whilst the mod has no single player, understandably so with all the hard work it must've taken, the instant action is the pinnacle of the fun that you can have with this mod. Although 1 vs. 1 does make for some fun skirmishes, there is no way you can beat an all out multi-player slug-fest with either lots of Ai, who fight supremely hard for the map, sometimes more than you or other humans (best arrange that one) who have a vice-like command of their armada, from resource collecting (see the shuttles fly back and forth between sources for resources and their mother-ship freighters) to shipyard selection to the inevitable management of the clash between the fleets. 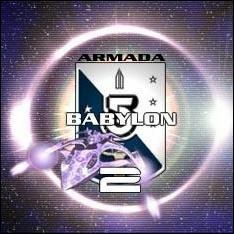 The year might only be 2007, but Babylon 5 isn't the last best hope for peace...you are! Patch 1.01 can be found here. Patch 1.02 can be found here. Captain, where have you been? You were ordered to report here at 8am sharp! Weï¿½re at war, if you havenï¿½t noticed, this isnï¿½t your mammaï¿½s house! Letï¿½s hope the President was right about you: heï¿½s personally asked for you to lead our task force to Sector 452, the Orion Colonies. Weï¿½re getting reports of alien activity in the region, and itï¿½s gotten the folks out there a little spooked. We donï¿½t know who or what they are just yet, but your orders are to head out there and find these intruders, and deal with them accordingly. If possible, that means blowing them the hell out of our sky, the Earth Alliance cannot be seen to be weak to anyone. Itï¿½s bad enough that theyï¿½re contaminating our planet with their ideas and culture; we donï¿½t need them causing problems at our outer colonies too. Is that understood, Captain? Now, first thing first, you are familiar with the standard EarthForce Armada 2 v1.1 Fleet C&C module, I assume? For this mission, youï¿½ll need to upgrade your command systems to the B5A2 Modification to be compatible with the other ships weï¿½re sending with you. Have your technicians install the appropriate files into the root directory of the existing module; theyï¿½ll find it all fairly self-explanatory. Youï¿½ll find the improvements weï¿½ve made to the system to be most impressive, Iï¿½m sure. When the system loads, youï¿½ll need to enter the Instant Action area. We currently canï¿½t assign you to a Campaign in the area, as we donï¿½t yet know what youï¿½ll be facing. Settings should be more or less familiar for an experienced commander such as yourself. Now, Captain, your first order of business will be establishing a base of operations. 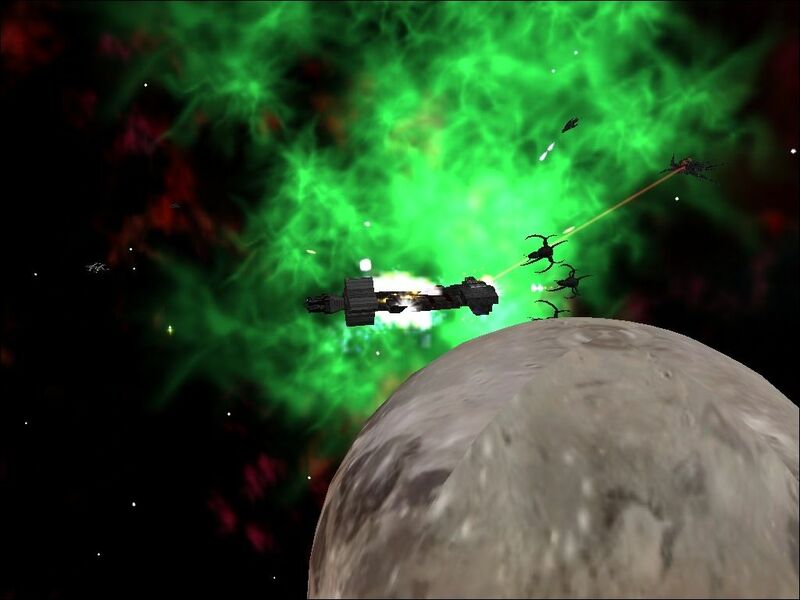 This should have all been taken care of in your training; however, you may want to brush up by rereading Admiral Mattï¿½s Guide to the Earth Alliance. Remember, establishing economically will be to your advantage! The military has recently seen a number of budget cuts, and you will be expected to at least partially pay your own way in terms of resources youï¿½ll be using. Metal and quantium 40 will need to be mined from nearby planets and asteroids, and credits from trade will help you to fund EarthForce R&D. Trust me, Captain, youï¿½ll need all the help from R&D you can get. If you prove yourself to be loyal to President Clark and to Earth, you may even earn yourself access to some of the new experimental technologies weï¿½ve been developing. Youï¿½ll find the basics of command and control to be very similar to the old Armada 2 Fleet C&C Module. Rely on your training, and on the skills of the fellow EarthForce officers serving under you to ensure victory for Earth! Iï¿½ll leave you to experiment with the new system, and to gain familiarity with some of the newer ship classes to join the EarthForce fleet. Remember your orders, Captain, the President is expecting much from you. Throughout testing, the command interface has performed flawlessly, and we have gone to great measures to assure this. If you experience any technical difficulties, we would ask that you recreate the command systems again as there was likely an error upon the creation and modifications. If however you find something specific, an specific action, or event, that causes instabilities, we would ask you to inform us at the B5A2 Central (StellerCom address listed below), and we will have our tech's look over the problem immediately. Babylon 5, names, characters, and all other related indicia are trademarks of Warner Bros. ©1994-2003 by Warner Bros., a division of AOL Time Warner Entertainment Company, L.P. Babylon 5 created by J. Michael Straczynski. The game Star Trek Armada is an Activision product. Despite our best efforts, the AI for this mod will only provide a challenge with infinite resources on. In a future patch we hope to correct this problem, but for the time being we suggest that you only play with limited resources during multiplayer games. Please report any bugs/errors to us in the forum, weï¿½ll be happy to help. Babylon 5 was created by Michael J Straczynski and produced by Babylonian Productions. Babylon 5 characters, names and all related indicia are trademarks of Time Warner Entertainment Co., LP © 1995-1999 Time Warner Entertainment Co., LP. All rights reserved. Sorry I can't help you there. My Jump gates have never worked in weeks of me playing this mod. Basically what happens is I try to activate the gate, it registers the gate has been activated but no wormhole appears and there is no wormhole sign. Its like it activates for a split second then de-activates. Build your gate well clear of a gravity well. What you are describing happens in stock A2 with the Borg Transwarp Gate. The Centauri may be able too knock the Dilgar down but they still need to show up. There is a B5 mod called Ages of Expansion that focus's on the Dilgar war-so that should be fun!!!! Recently, I manually placed in the files for the B5 races to play concurrent with my ST races. However, after all was said and done, when I went to the Instant Action menu, it crashed. Shadows crash before an instant action game starts. How can I aleviate this problem?